Solitary are very pleased to reveal the cover art for the forthcoming album which has been produced by Andy Pilkington at Very Metal Art. Release is set for Friday 3rd March and will be available as a cd digi-pack, shirt/cd package deal and digital download. 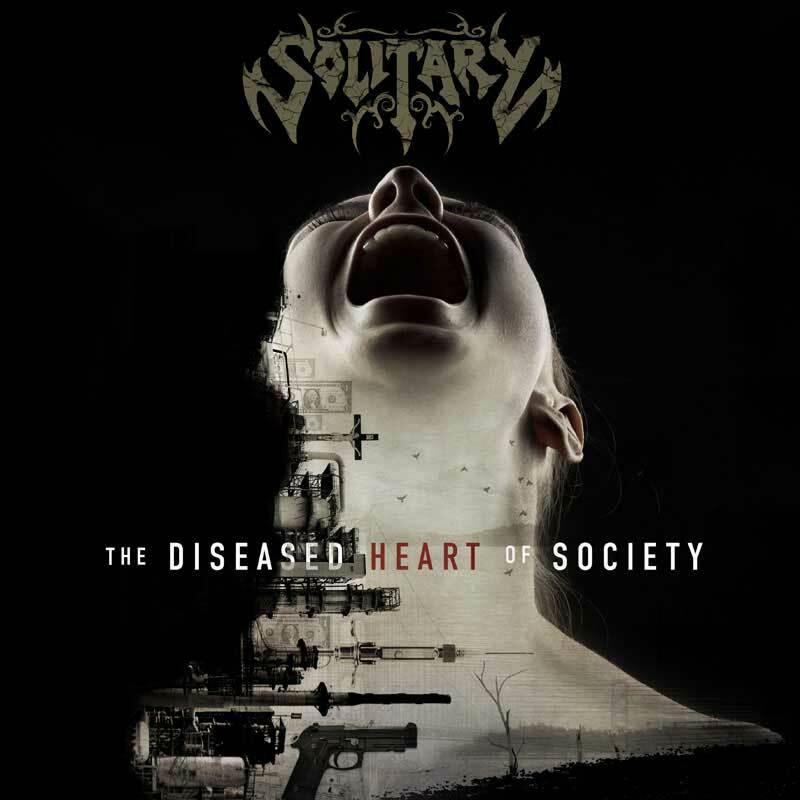 Titled "The Diseased Heart of Society" and featuring 10 tracks of aggressive UK thrash metal, the genre has never sounded more potent and powerful than it does in the hands of the UK’s Solitary. Adding that final touch of class, Stan Havard from friends Xentrix laid down some blistering guest lead guitar work!! !